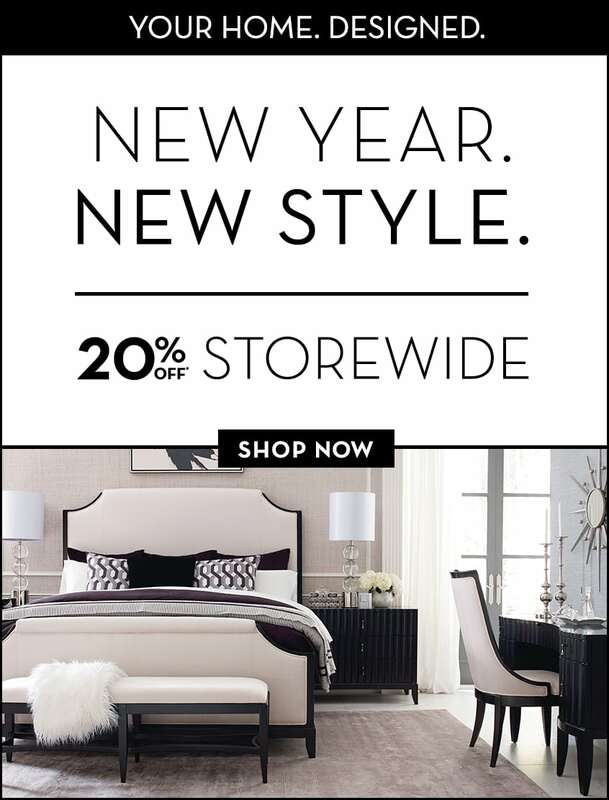 Add contemporary European style to your home with the beautiful Casimiro collection. Providing ultra plush cushioning, the Sofa features adjustable headrests and armrests for ultimate comfort. Upholstered in a light grey full grain leather. Framed with a metal base bar. 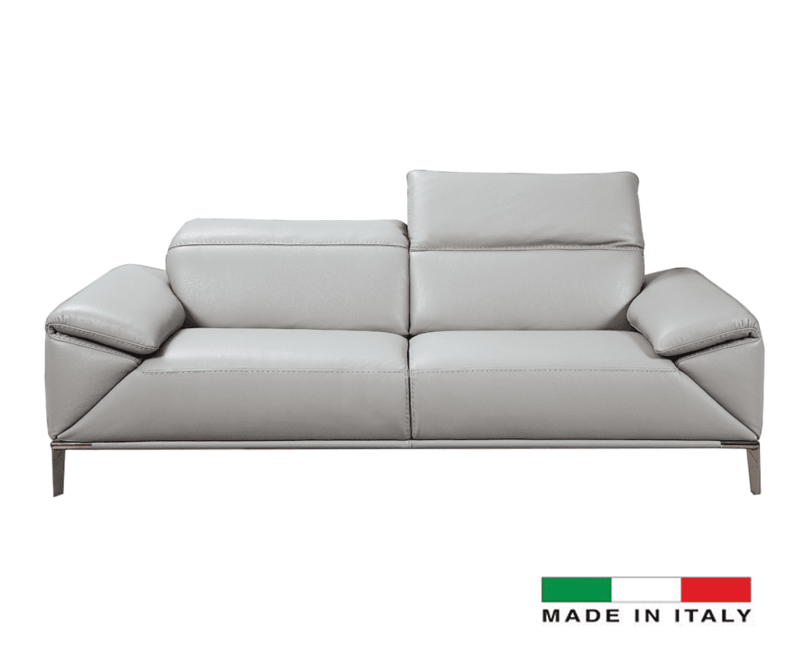 Available to order in light grey, white or dark grey leather at no additional cost. Also available as a Loveseat. Availability: Typical normal lead times can take 8 weeks we will confirm upon ordering. Warranty: To inquire about our warranty program; speak to a sales person now by calling 416-736-6120 or 1-800-232-2267. Evolve your sense of design and style. 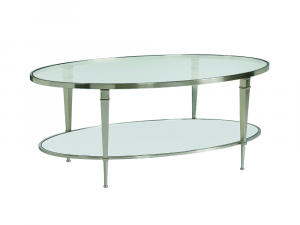 Sleek clean lines combined with voluptuous curves and a mirrored finish make this table eligible for a third glance. 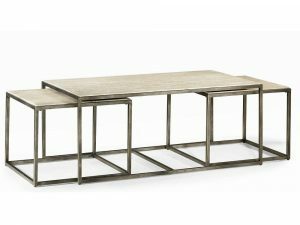 With a focus on geometric and angular shapes this table makes a hallmark addition to any modern living space. Center yourself in nature. 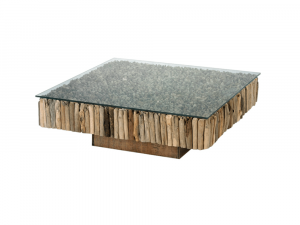 Created with unique pieces of driftwood compiled together to harmonize with an urban, earthy feel. 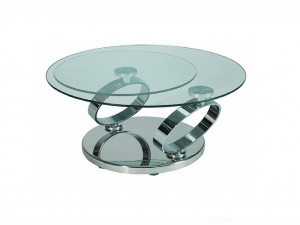 Great conversation piece for your home, with a functional clear glass top. 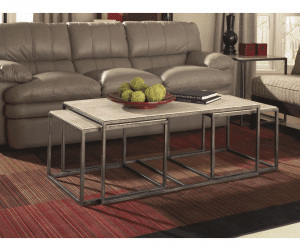 43″ coffee table shown here. Glass top also included. Finish only as shown. One-of-a-kind, organic driftwood designs. Custom order in-store with square 51″ glass top. Matching square end table also available. Bring focus to your living room. Simple yet eye-catching set of cocktail nesting tables with stunning natural travertine table tops, supported by textured bronze metal frames. Features one rectangular table with two square end tables. When needed, these tables easily pull-out to provide additional table space and can be hidden away when not needed. Finish only as shown. Complete collection available to order in-store. Add some charm and instantly brighten up your home with the Mullally collection. Revel in vintage style, featuring an antiqued design paired with reflective mirror table tops, graceful curves and straight tapered legs. 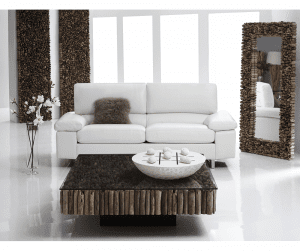 Truly eye catching, this piece gracefully enhances a variety of living spaces with elegance and allure. 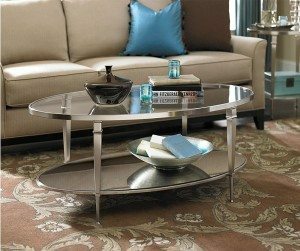 The silver nickel finish surrounding this oval cocktail table sparkles as it catches rays of sunlight; maximizing the warmth it already brings to your home. Recline to the perfect angle, where exquisite comfort and quality blend into perfection. 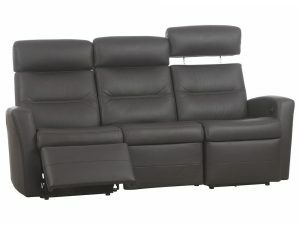 This reclining sofa offers built-in footstool and height adjustable back to adapt to any and all shapes and sizes. Certainly one of the most well-conceived recliner collections on the market today. This wonderful 3-seater power sofa has built-in chaise loungers in dark grey leather, with the touch of a button for instant relaxation. Available to custom order in-store in a wide variety of fabrics and leathers. Clearance pricing applicable to floor model version only, while quantities last.